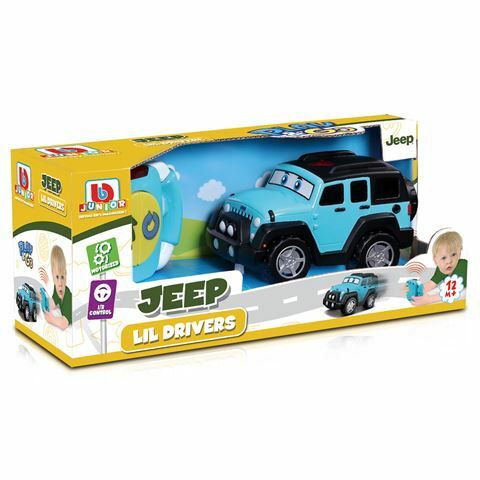 You're almost never too young to be a car owner, especially when the vehicle is a funky blue Jeep with a set of large blue eyes on the windscreen and a funky controller fashioned for small hands. The sheer quality and attention-to-detail Bburago Junior put into their collection of Lil Drivers cars sets them apart. They allow kids to play independently as young drivers simply control the vehicle with two easy-to-use directional buttons. It helps the child to grow there hand-eye coordination skill and Imagination skill. Hands on controller, easy to clutch with small fingers with steering wheel handles. Drives forward and turns in reverse. Suitable from 12 months and up.